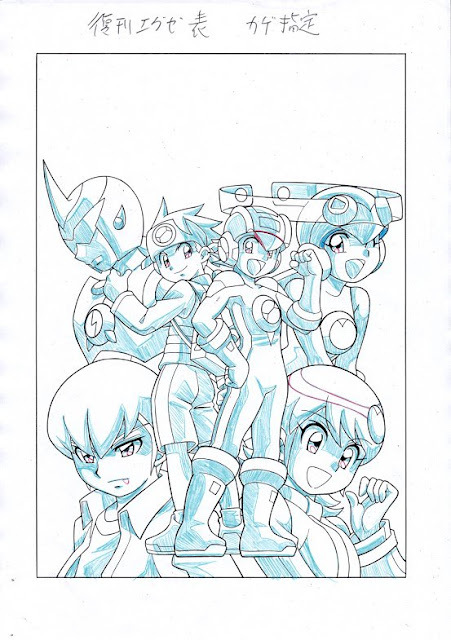 For your consideration, here's a sneak peek at volume 2's new cover art. Has Chaud always had/occasionally appeared with a snaggletooth? 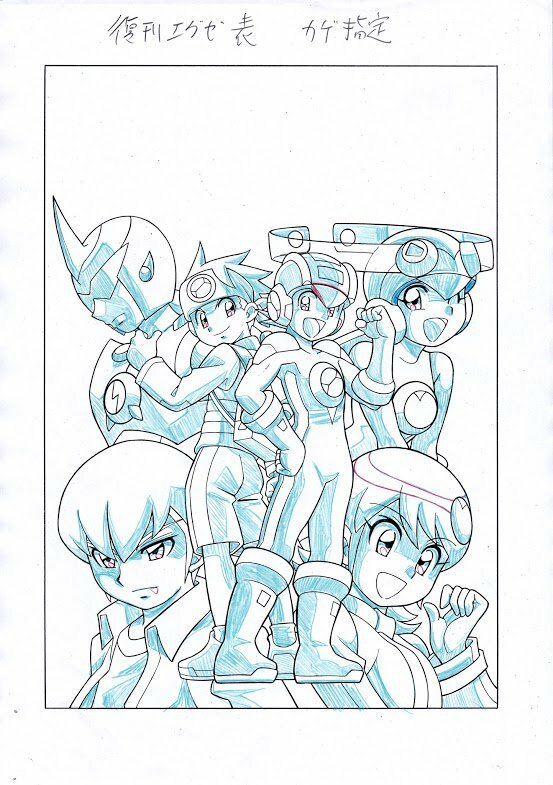 New Edition Rockman EXE Vol. 2 ships in late August with new cover art, revised art, and additional content. Takamisaki always drew that sharp-looking canine tooth for pretty much everyone, just maybe not so much with their mouth closed. Tons of empty, tongueless white mouths like Meiru up there, and tons of sharp canines are a hallmark of his style. Just look through an image search of the original covers alone.